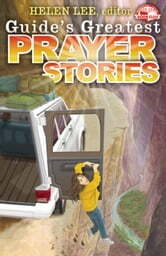 Amazing doesn't begin to describe these faith-building stories of answered prayer. Discover how prayer caused a stolen car to stall, taught a woman to read, delivered a snorkeling missionary from a mad shark, led a strange black dog to deliver a lost purse, healed a crushed cat, and unlocked a locked door. The New Girl In Town, A Children's Book.